If WordPress is your CMS, then you have an amazing number of tools (i.e., plugins) to create content. Done right, your content can engage, educate, inspire, and entertain. Granted, it’s not easy, given the oceans of content that are “out there.” How do you stand out? How can you make your content more compelling than that of your competition? 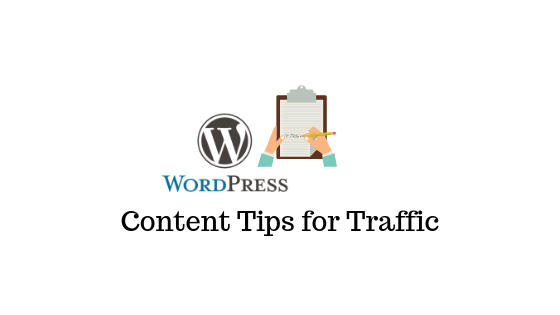 Here area a few WordPress content tips that will help you increase traffic to your site. Before you can create amazing content, you have to know your audience and what that audience wants to read, see, and hear. Unless you have this nailed, you are “dead in the water.” Remember, you are not trying to craft content for the entire Internet audience. You are focusing content on only a small segment of the some 1.4 billion Internet users today. Once you have these questions answered, you will know what your content must include. And, you can use the following types of content to engage your audience. Internet users do look for information. And they use search engines to do it. According to Smart Insights, in fact, 3.5 billion Google searches occur daily. And Google can crawl and index pages of content, as many as 50 million pages, in less than a minute. Obviously, you need to create content that will be indexed and rated, as users look for information. The key to this is using the most popular keywords in your niche space, but it is also a matter of truly providing desired information within that content. Google’s algorithms are pretty sophisticated, and if your content is not unique and valuable, it will not be ranked well. Take the tutorials that WordPress offers. There are new features and plugins added every day, and they will help you present content in more creative ways. TrustMyPaper. This is a writing service that has expanded into creative copywriting as well. They now have expert creatives who can provide unique and compelling content. Buzzsumo: Here is a site that will give you the most popular topics and content writings in your business niche. You can review all content on a given topic and then improve upon it in your own writing. Twitter Trending: This is just one of many tools that you can use to discover the topics that are trending in your niche. When you stay on top of news, you can provide greater content value to your audience. The goal is to become known as both an expert in your niche and as one whose content is well-written, creatively presented, and a fun/valuable read. A tall order, to be sure, but once you are able to nail this, your following will grow steadily. Blogs that are comprised of walls of text are really boring. And you already know that your content must be divided into sections with sub-headings, bullet points, etc., so that it is “snackable” by readers. And if you have been enticed by other blogs posts, you also know that they hold your interest because of the visuals they include. Our brains actually process visual information faster and retain it better. The other thing about visuals is that they need to be original. Using stock photos, for example, will just not “cut it” anymore. Consumers of content want new and fresh. Fortunately, WordPress has a huge number of plugins that will allow you to create virtually any type of visual – infographics, drawings, diagrams, videos, and even interactive content that will fully engage followers. Even if you are a beginner, there are WordPress plugins that will make this easy. Take some time to explore all that is offered, and you will be surprised at how easily you can create your own originals. This is one of the most popular SEO options for a WordPress site. It will check your paragraph structure and clarity n general, paragraphs should be short – no more than eight sentences. Short sentences. They are easier to absorb, and less likely to have grammatical errors. If there are any, of course, Yoast will pick them up and tell you how to fix them. A long sentence is one that includes up to 20 words. You should not have more than one longer sentence in a paragraph. Sophisticated vocabulary. Unless you are writing for PH.D.’s, your vocabulary should be aimed at about the 7th grade reading level. Yoast will point out potential issues with vocabulary. And that vocabulary, when used as a part of keywords or keyword phrases, should be simple, because searchers use simple terms. Yoast will let you conduct keyword research too and will provide alternatives if the words you are using are too sophisticated. Using transition or “signal” words. These should move the reader between the current and next point. Yoast will check for these, point out issues, and make suggestions for appropriate transition words. Every piece of content should have SEO in mind. Again, Yoast is the premier WordPress plugin to check for this. In the beginning, Yoast analyzed content for keywords, meta descriptions, and such. Over time, it has become far more sophisticated as search engine algorithms have evolved. Yoast has you covered even to the point of including the Google authorization Code which shows you how you content works in organic searches. This is great advice for any business posting articles anywhere. Consumers want personal connections with the companies they patronize, and this is a powerful tool to do just that. Those stories can be about a business owner, staff members, and even customers. It’s so easy to upload photos and videos to WordPress blog posts, and thus put a “face” on your brand. Animation is just fun and captivating. When you can add movement to visuals or text in your posts, you will capture more attention and hold interest longer. There are a number of great animation plugins, many of which are free. While surveys are nothing new on the Internet, they are still powerful draws. First, people like to give their opinions; second, you might get some valuable information about what your followers want. And best of all? You can offer some freebie if readers will complete your survey (maybe providing their email address in the mix) and share it on social media. This will provide increased exposure. There are several survey plugins that make creating them super easy. Obviously, you want social media sharing buttons on your posts, and there are several options for plugins to do this. You can choose the placement and other options, such as scrolling buttons that move down the post as the reader does. This is a great and easy way to remind readers to share when they find something interesting, useful, or entertaining. Again, more brand spread for you. Having the opportunity to add comments, ask questions, of respond to the comments or questions of others is a great way to keep followers engaged with you and with fellow readers. And it will be important for you to monitor those discussion so that you can connect with your readers on a personal level. One of the goals of your blog is to obtain email addresses of readers/followers so that you have follow-up contact information. From these conversions, you obviously develop and grow a list of subscribers or at least people who want to hear more from you. Once you have those lists, you need to segment them based upon what readers sign up for and then have a method for sending out targeted emails. You can do this right through WordPress via any number of email plugins. And there are several that offer translation of emails into other languages for your foreign-speaking audiences. There you have it – 10 ways that you can create and maintain a blog that will grow a following and ultimately the conversions and brand spread you want. 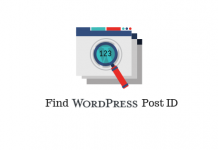 WordPress is a comprehensive content management system with an amazing number of powerful tools and plugins.